In 2019, the Yara Birkeland, world’s first autonomous and zero emissions ship is due to start operation. Is this a sign that the Fourth Industrial Revolution (4IR) is about to reach the shipping industry ? Advanced technologies have disrupted and recombined industries, and dislocated workers. Cloud computing, the internet of things, distributed ledger technology, such as blockchain, artificial intelligence, 3D-printing, and many additional technologies are expected to dramatically change most parts of our life. Disruption is unavoidable and will certainly arrive in the logistics and supply chain industries too. But hardly in the year 2019 ! There are still significant shortcomings in the area of intangible assets. 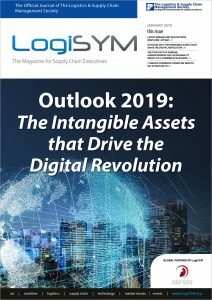 In particular mindset, imagination, skills, sharing and collaboration as well as independent interoperability protocols, will delay the digital revolution in the logistics and supply chain industries. 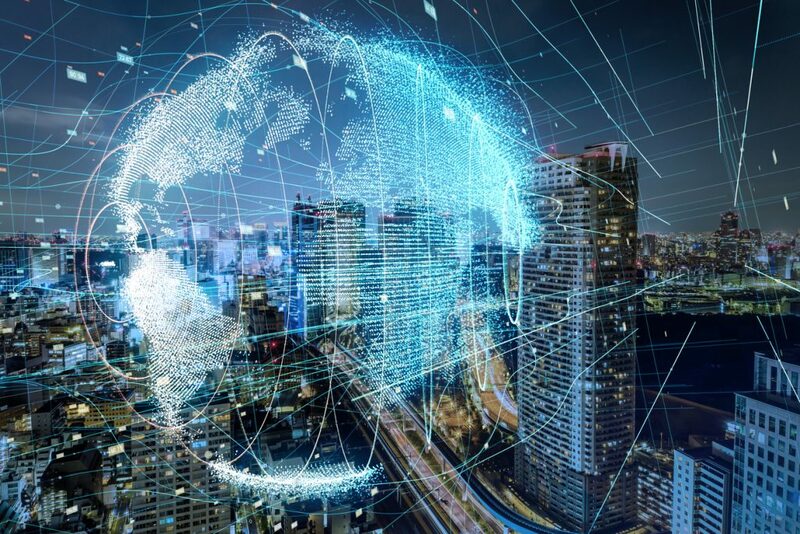 In 2019, CEOs will continue to drive digital transformation. No one wants to be caught off guard by new incumbents or competitors whose innovative value propositions make suddenly own ones obsolete. The digital era has brought a lot of experimentation. However, moving from experiments to scale requires a digital mindset and new skills, new ways of working and global protocols. In 2019, Pioneers and leaders will focus on building the critical intangible assets. There are five key areas that we expect will shape this digital agenda. Platforms are the new market places drivers. With Amazon, platforms arrived in the supply chain industry almost 25 years ago. Uber, founded as UberCab in 2009, has started the sharing platform revolution. IBM and Maersk announced their trade platform initiative in 2017. APM Terminals launched a new online platform at Khalifa Bin Salman Port (KBSP) in Bahrain mid-2018. The range of services include bookings of vehicles and slots, real-time visibility of shipments, track and trace functions, as well as payments and processing of documents and invoices. Everything businesses need can be found in the ecosystem: resources, operational assets, warehouses, transport vehicles, etc. Platforms are the instrument that provides visibility and access. Today, the most valuable businesses are platforms. And these will only grow going forward. Over the next 10 years, platform-driven interactions are expected to enable approximately two-thirds of the value for business and society – Digital Transformation Initiative of the World Economic Forum in collaboration with Accenture. Platforms are the place for gathering, analyzing and sharing of data. Data has become the new dollar. Through platforms billions of dollars will be saved within the current value chains. The new models in supply chain will be data-driven. This paradigm will further drive the shift of the business mindset from linear processes towards platforms. Technology is not a bottleneck! But it is the lack of imagination that limits innovation. Most established companies are designed for efficient delivery of their existing products and services. This is the reason why corporations continuously improve their processes and practices. Whereas digital champions are constantly changing them. Succeeding in the digital age requires not only rapid adjustments to change, but a complete transformation. It requires corporate agility and creativity – qualities that are particularly present in technology companies and startups. It is therefore fundamental that corporates acquire such characteristics to learn enrich, and accelerate their own innovation efforts. Also to obtain access to people with a different mindset. Established businesses share the limitations of legacy systems and processes. Whilst startups are short of critical assets to directly compete with corporates. Primarily brand loyalty, financial strength, disciplined business processes, and operational expertise. The combination of large corporates assets and the agility of startups can deliver a powerful formula. However success is not guaranteed ! On the one hand, most startups never come to fruition. PitchBook compiled data on the 25 most valuable VC-backed startups that failed in 2018. Among them Shyp, an on-demand delivery platform that raised USD 62 million and reached a maximum valuation of USD 275 million. On the other hand, creative talent leaves corporates. Numerous papers and articles have explored why the most innovative employees struggle in the corporate world. There are several reasons for this which range from cumbersome administration and bureaucracy, resistance to change, tight financial controls and quality of leadership and management to risk adversity and finally firing after failure. Organizations have to unlearn what they learned and relearn – Alvin Toffler. And is the very hard part. But the advent of the digital economy and society will bring more challenges. This will force changes for survival and hopefully achieve breakthroughs in corporate imaginative thinking or they will disappear. While the adoption of technology is relatively easy, redesigning business models and upskilling are more challenging undertakings. 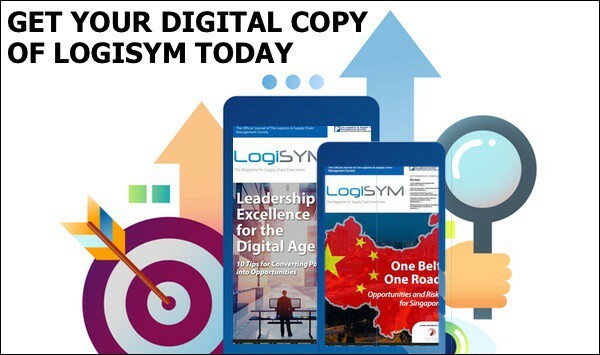 The digital era demands entirely new levels of imagining, designing, delivering, and servicing of digital value propositions. Technological skills and project management expertise are only the tip of the iceberg. Working with the machines requires mass skilling. Digital transformation is driven and enabled by people. The Operations and Technology Knowledge Group of SDA Bocconi School of Management has built a model to measure the “score 4.0” – their research shows 70% of 108 companies in the supply chain have invested in digitalization in the last three years. However, Vincenzo Baglieri, Project Director, says. “Many companies have … underestimated the need to redesign their processes and invest in new skills.” At the end, it is people that think, design and operate the new models. If the investment in skilling falls short, the digital transformation falls flat. The Antwerp Port Authority, for example, and its APEC-Antwerp/Flanders Port Training Center has been training port workforces on most aspects of modern port operations. There is not a lot to read about skilling for the 4IR in the transport, logistics, and supply chain industries. This is alarming and might contribute to the fact that 70% of the larger scale digital transformation project fail. Here is a message to the global and local leaders in business model transformation, that higher investment in skilling will be crucial. This includes research in understanding the skills needed and also the development of skilling programs. It will be interesting to observe what the coming year will finally bring in this field. In 2018, we saw a mindset shift in the transport industry from protective and silo-thinking towards the willingness to try new collaborative models. The Port of Rotterdam and the Port of Hamburg, for example, have entered into a data partnership. The competing ports have started to share data to optimize calls of liners in the North Europe area. The ports wish to expand their model to more and more ports going forward which will be exciting to follow. On 19 October 2018, ABN AMRO, Samsung SDS and the Port of Rotterdam Authority announced the launch of a container logistics blockchain pilot. The goal is to establish an open independent and global platform that will make the logistics value chain more transparent and efficient. This requires the full integration of the physical, administrative and financial work streams. We also see governments collaborating through connected platforms. In 2017, the de facto central banks of Hong Kong and Singapore announced plans to link trade finance platforms they are developing with distributed ledger technology to reduce fraud and errors. Linking the two platforms is part of a broader plan of the Hong Kong Monetary Authority and the Monetary Authority of Singapore to collaborate on distributed ledger and other financial technology. 2019 will bring more collaboration and with it new learning and opportunities for value creation. Distributed Ledger Technology (DLT), like blockchain can hardly be separated from the trade and supply chain platform developments. The different DLTs or similar will be the operational backbone of these platforms. A single global trade network would be the most ideal. But as unlikely to happen, interoperability standards would become mission critical for scaling collaborative platforms across the supply chain ecosystem. After Maersk and IBM announced their collaboration to use blockchain technology, distributed ledger technology tests started to flourish. 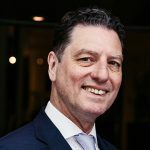 Port of Antwerp, Pacific International Lines, and PSA International have all carried out blockchain pilots. Korean Customs Service (KSC) has signed a memorandum of understanding (MoU) with the Korean operator of Malltail to develop a blockchain-based customs platform for the e-commerce industry. With all these different activities, the awareness of the need for a global interoperability protocol and independent trade and supply chain platforms has been steadily rising. During the United States Congress Blockchain Hearing on May 8, 2018, the US Department of Homeland Security lamented the lack of interoperable interfaces and standardized approaches. Also in May 2018, two liner companies, Hapag-Lloyd and CMA CGM, stressed the need for an industry standard, rejecting Maersk and IBM’s blockchain solution and the trend of the development of numerous distributed ledger technologies for the container sector. The “blockchain arm race” in supply chain has been gradually heating up. In August 2018 Maersk and IBM launched their blockchain platform TradeLens, which met encouragement but also skepticism of its benefits to stakeholders. The rival appeared shortly after in November 2018. A consortium powered by Oracle Cloud Blockchain Service, which involves CMA CGM, Cosco Shipping, Evergreen Marine and Yang Ming announced their blockchain platform project. The development requires collective responsible system leadership to develop common protocols opposed to potentially tensions and mass confusion. Initiatives to ensure neutrality and interoperability have also emerged in 2018. The World Economic Forum has started the project “Re-designing Trust: Blockchain for Supply Chain”. This multi-stakeholder initiative aims at co-designing, prototyping, and testing frameworks that guide towards interoperability, integrity and inclusivity. The initiative also addresses how small and mid-sized enterprises (SMEs) can be brought onto the platform. Whether on private or public side, such interoperability initiatives will expand and mature in 2019. The next stage of the digital revolution will unfold increasingly behind the scenes. 2019 will bring more focus on building assets other than technologies. The future winners will strengthen and expand their asset base beyond technological innovation to people and protocols – to attitude, creativity, behavior and skillset, and the prerequisites for digital collaboration at scale. The intangibles are the assets which make or break the digital transformation. In business, the intangible assets drive the tangible success: The beautiful minds of extraordinary people that imagine our future and the force of the smart and skilled collective that puts the transformation in motion. Technology will continue to make the news, but intangible assets will make the difference! Wolfgang Lehmacher is thought leader and practitioner in the field of supply chain and logistics. Stages: Director, Head of Supply Chain and Transport Industries at the World Economic Forum, Partner and Managing Director (Greater China and India) at the global strategy firm CVA, President and CEO of GeoPost Intercontinental at French La Poste. Judge Automotive Logistics Awards Europe, member of IATA Air Cargo Innovation Awards Jury and the Logistikweisen, a think tank under the patronage of the German Federal Ministry BMVI. He is FT, Forbes, Fortune, and BI contributor and author of books, including The Global Supply Chain.